The Community Carols in Hindmarsh Park have become a must-do tradition for many in the lead up to Christmas. 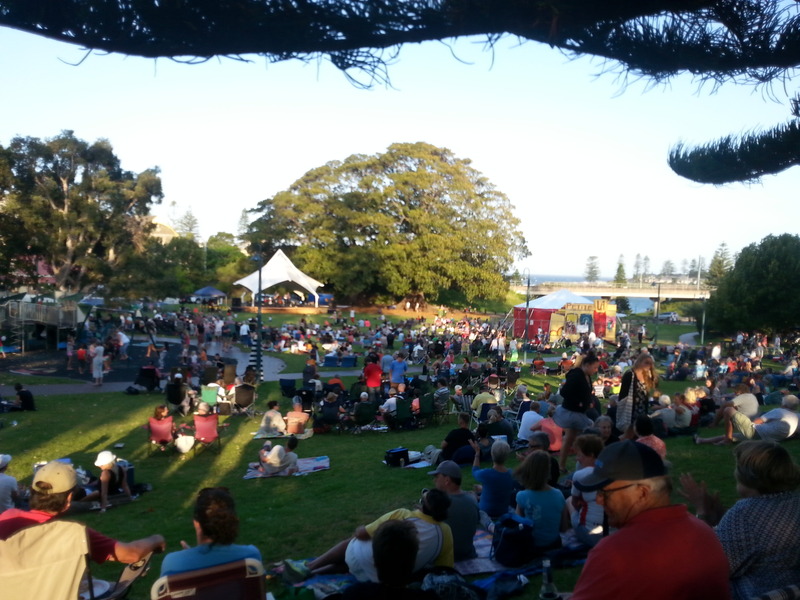 Organised by the Kiama Ministers’ Fraternal (representing the churches in Kiama and Gerringong), the community gathering regularly attracts a crowd of 3000 locals. The event is sponsored by the Kiama Council, the combined churches and many service clubs and businesses. This year, the Kiama Farmers’ Market has stepped in as a major sponsor and will be encouraging people to stay for the Carols after the regular Wednesday market. this year’s charity offering, and local shops (many of whom assist with sponsorship of the event) will be ‘open for business’ just across the road from the Carols. the hall at Kiama Anglican Church, at the ocean end of Terralong St.